Billy Bragg is playing the Jack Singer Concert Hall in Calgary tonight. The last time he was here, he played Knox United Church and it was a great night, very intimate. I would be very curious to hear what people think of a luxe concert hall as a venue in which to experience Mr Bragg, as I won't be able to attend. I suspect the venue does not really matter all that much when it comes to enjoying the firebrand from Barking. Of course I did have the pleasure of attending the Billy Bragg show in Vancouver on the weekend, and there I had the added delight of being there with a handful of lovely blog friends and the OFKAR, and of finally being welcomed into the inner sanctum of the fabulous Commodore Ballroom. If you ever get a chance to see a show at the Commodore, just go! The atmosphere is casual and open, yet tinged with elegance by virtue of the beautiful surroundings. It's a crying shame that nobody was permitted to use the empty reserved corporate booths, though. The irony of this occuring at a Billy Bragg show was not lost upon me. Ron Hawkins (Ron, not Ronnie) opened what he alluded to as the night of the guitar solo. Kudos to the ever-vigilant Matthew for recognising the performer as being a former member of the Toronto band, Lowest of the Low. Naturally I bow to Matthew's expertise and acknowledge his status as senior musicologist amongst our group that night. Ron Hawkins laid down a strong set. He's a large man with a large presence, and his songs of lost souls and hard times felt at once personal and universal. He was a good match for a Billy Bragg show. Interestingly, Kris Demeanor will be opening the Calgary show, and he will make a fine accompaniment to Billy Bragg's other strongpoint - the story-telling. 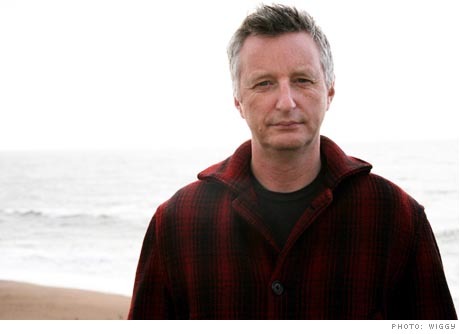 Billy Bragg, much like fine wine and yours truly, just keeps getting better with age. He is one of those rare individuals who maintain their passions and their convictions over the years, and he does not tone things down just because he has a touch more grey. He played for over two hours at the Commodore on Saturday night, two hours of fervent rabble-rousing, two hours of soulful softy songs, two hours of stories and rants and working himself and his fans up into a lather. He doesn't try to deny that he is aging. He was after all, drinking tea on-stage, for his "froat". But he is still passionately involved in life and causes, and in amongst thrilling us with New England and Levy Stubbs Tears and Power in a Union and Way Over Yonder in the Minor Key, he alternately delighted us and infuriated us with lengthy tales and pithy quips of his guitar-playing teenaged son, the fascist running for office in his hometown, the Vancouver weather, the "Thatcher is dead" text message, the Clash, and the dangers of cynicism. There was a lot of love in the room, and it was felt across the wide spectrum of humanity in the audience that night, from the aging hippies and the olde punks to the indie kids and the young marrieds. It felt like community, and everybody sang along. I know he covered many of the same topics at other concerts across the country during this tour, but the thing about Billy Bragg is he makes it feel personal. And when he points at you and you and you and you and you at the end of the concert, to acknowledge your presence and your singing and your humanity, it feels real. It was glorious. It was rousing. And somebody in the audience went home with a used teabag. And most importantly, it ended in a singalong. I haven't been able to get the Ron Hawkins cd out of my stereo. He was indeed a great storyteller, and perfect match with Billy. So many highlights from that evening, it truly was a great concert and I'm glad to have shared it with such lovely company. Great review! I am so glad we were able to go a-concerting together, Al. It was a great show and a great evening all round. He is very lurvable, Dr M.
Billy Bragg is one of my all time favourite live performers. Great songs and stage banter that is smart and hilarious. Hi Barb - been meaning to comment on this one! Great summary of a fabulous performance and evening. There was a life affirming and communal feeling to the evening, and it brought a smile to my face to relive it again through your writing. Can't say this enough, but the company I kept that evening was top notch! His shows really are a perfect combination of music and talk, Remi. I love a good banterer. It was a glorious evening, Matthew! And you are so right about the feeling in the room that night; the love was palpable, the feeling of community was like a warm blanket enveloping us all. But it was the company I was with that truly made it magical.